The calendar has advanced to a new year and you can almost hear the collective sigh from business owners everywhere. That’s right: it’s tax time. Financial records, receipts, and invoices are being gathered and sorted to find out just how much the government is owed this year. Online business owners are not exempt, so you are probably feeling much of the same as tax season approaches. One of the most important tax concepts and calculations for retailers to understand is the “cost of goods sold.” This post will focus on what that is, how to calculate cost of goods sold, and how to determine the value of your inventory for tax purposes. The calculation cost of goods sold (COGS) is required on business tax returns. It lowers your business income, therefore lowering your business taxes, so it’s in your best interest to get it right. To calculate cost of goods sold it takes into account all of the costs that are involved in selling your product. The calculation itself can be complicated, especially if you sell or manufacture multiple products. We’ve outlined the various steps for you to follow below to calculate your COGs. Visual learners: skip ahead to view an infographic. You may already have a solution, like our online inventory software, in place that provides you with cost of goods sold reporting. Still, it’s important for you to understand the concept and what is involved in the calculation. The following is a step-by-step process to calculate cost of goods sold for one product. This calculation allows you to deduct the costs of the products you sell, whether you re-sell or manufacture your items. Cost of goods sold includes two types of costs – direct and indirect. Direct costs are the expenses related to the production or purchase of your products. Indirect costs are related to the storage, facilities, labor and equipment used to sell your products. This step is usually best done by a CPA or tax professional, as facilities costs can be difficult to determine. In essence, a certain percentage of the costs of your facilities (rent, mortgage interest, utilities, etc.) is allocated to each product. This number is easy to find. It must be equal to the amount of ending inventory from last year. It includes merchandise in stock, products in progress, and completed products. This is the total amount of every shipment for the year or manufacturing costs of each product added to your inventory. 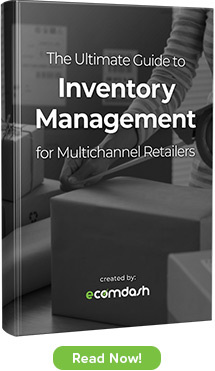 Ending inventory costs is typically determined by a physical inventory of stock on hand. Damaged or obsolete inventory can reduce your ending inventory costs. You now have all of the information you need to do the COGS calculation. You can do it yourself, but it’s always advisable to have your tax preparer help you. The final thing to do is determining which valuation method you will use for your inventory. The IRS accepts three methods. The easiest to keep track of is the cost method, so most smaller businesses use that method. If you have products with costs that are difficult to determine you can use one of two methods to keep track: First In, First Out (FIFO) method or Last In, First Out (LIFO) method. There are advantages to each, and your tax professional can help you decide which one will work best for you. You then must stick to that method, or apply to the IRS for approval to change it in the future. Cost of goods sold deductions only include the items that have been sold. If you have purchased or manufactured products but they have not sold, you cannot deduct their costs. Therefore, there is no tax benefit to having a large inventory. Current tax regulations do not require businesses that have less than $1 million in sales to report inventory. You can find more information on the valuation of your inventory at IRS Publication 538. Disclaimer: This post includes information that is general and is not legal or tax advice. Please enlist the help of a CPA or tax professional to help you with your calculations.